Enjoy training in a small group with individualized coaching tips. Prepare for San Diego's best cycling century along local scenic hills and glistening beaches. Training rides begin March 17, 2012. 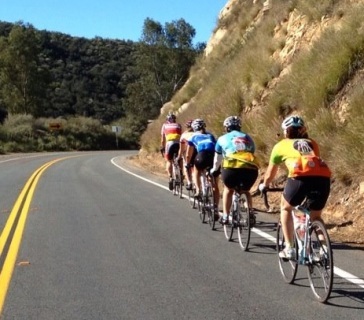 Cycling Adventures will offer guided training routes each week that gradually increase in miles and climbing to prepare you for the San Diego Century! One weekday after work training ride will be offered as well. * Saturday routes that gradually increase in miles and climbing. * Spin or after work rides once per week.